Any guide of Moscow would be incomplete without a review of its most impressive architecture monuments - Kremlin, Bolshoi Theater, Cathedral of Christ the Saviour, Mausoleum, State Historical Museum and many others. 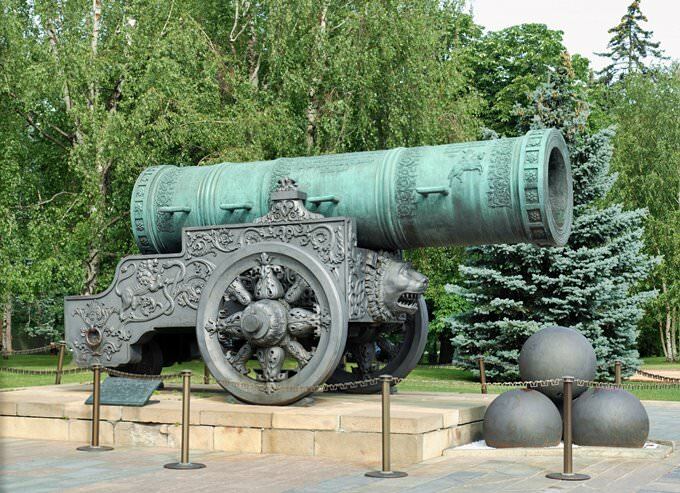 It’s difficult to overestimate their historical and cultural importance for Russia. The style and architecture of any of these landmarks are worth a visit when you are on vacation in Moscow. However, you can virtually visit any of these wonderful monuments without leaving your comfortable chair. For that purpose, simply 'fly' over the 3D model of Moscow that was created by OrangeSmile and GoogleEarth. All you need to do is to click the video on this page. » The Kremlin is the oldest part of the city, the main socio-political and historical-artistic complex of the city, the official residence of the President of the Russian Federation. » Existing walls and towers of Kremlin were built in 1485 - 1516. The total length of the walls is 2,235 m, the height is of 5 to 19 m, and the thickness is from 3.5 to 6.5 m.
» Walls form an irregular triangle. » There are 20 towers along the walls. 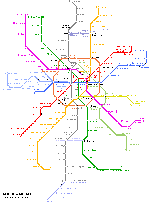 Three towers standing in the corners of the triangle have a circular cross section, and the rest have square section. The tallest tower is the Trinity Tower of 79.3 m.
» The Moscow Kremlin is the biggest fortress in Europe, which has been operating until this day. » The Bolshoi Theatre is one of the largest in Russia and one of the most important theaters in the world. » The complex of buildings is situated in the center of Moscow, at the Theatre Square. 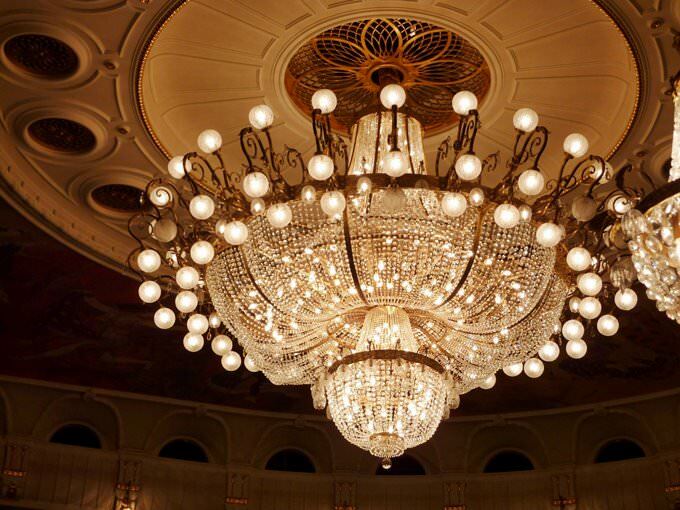 » Integral part of the theater is holding chamber and symphony concerts, which allows acquainting the public with the works of all musical genres. » In the second half of the 19th century the Bolshoi Theatre was considered one of the best in the world for its acoustic properties. That was due to Albert Kavos, who had designed the auditorium like a huge musical instrument. » Masterpieces of Russian musical theater of 19-20th centuries occupy a dominant place in the repertoire of the Bolshoi Theatre. » The Cathedral of Christ the Saviour is the Russian Orthodox Cathedral, not far from the Kremlin on the left bank of the Moscow River. » Existing facilities are 1990s re-creation of the same name temple created in the 19th century. » The original temple was erected in memory about Napoleon's invasion. Construction of the temple has lasted almost 44 years, but later the building was destroyed on December 5, 1931 in the midst of Stalin's reconstruction. » Funerals of people significant for modern Russian history and culture were held in the Cathedral of Christ the Saviour. » Great Orthodox relics and shrines such as a particle of the Robe of the Lord, the ark with holy relics, Reese of Blessed Virgin Mary, the relics of John the Baptist, the nail of the Holy Cross, and others are exhibited in the temple. » The Mausoleum on Red Square in Moscow is the Lenin's tomb, one of the vertices of Soviet architecture. » The Pyramid of the Mausoleum consists of five uneven ledges. The length of the Mausoleum on the facade is 24 meters, and the height is 12 meters. » Visitors enter the mausoleum through the main entrance and come down the stairs to the left via 3-meter wide steps to the memorial hall. The hall has the shape of a cube (edge length of 10 meters) with a stepped ceiling. » Visitors bypass the sarcophagus on three sides via low podium, leave the memorial hall, go up the stairs and right out of the mausoleum through the door on the right wall. » Currently the Mausoleum is opened every Tuesday, Wednesday, Thursday and Saturday from 10.00am to 1.00pm. 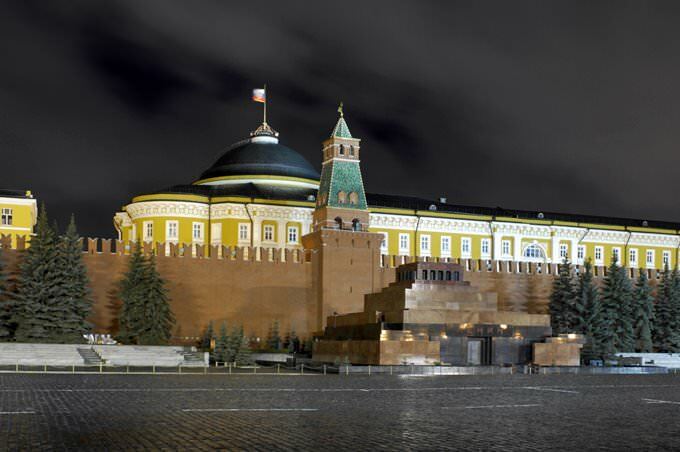 » The State Historical Museum is located on the north side of Red Square in Moscow. The museum also occupies the neighboring buildings of the Mint and the Moscow City Duma. » The collection reflects the history and culture of Russia from ancient times to the present day; it’s unique in the number and content of exhibits. » Currently the museum is the largest in Russia. Two floors and 39 halls are dedicated to the history of Russia from ancient times to the beginning of the 20th century. » Exposition starts on the second floor. It’s dedicated to the primitive society, Ancient Rus, the fight against foreign invaders, uniting Russia, culture, and development of Siberia. » The third floor shows Russia since the era of Peter I: politics, culture, the economy of the Russian Empire. » Massive reconstruction has happened to the museum. Throughout the rooms contain informational materials; the exhibition has a large number of screens and monitors except paper information support. 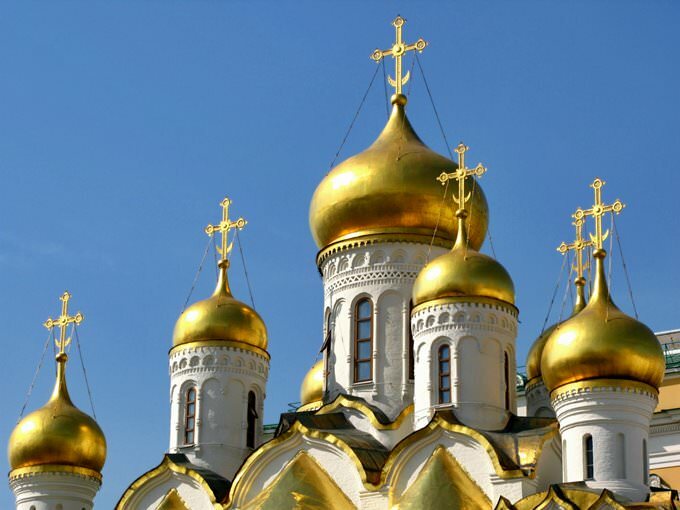 » The Cathedral of the Annunciation is the most famous temple of Moscow. It’s situated on Kremlin's Cathedral Square. » One of the oldest temples of Moscow, it was founded in the late 14th century as the home church of duke, and then the royal family at the Grand Kremlin Palace. » The Cathedral of the Annunciation is small, as it was designed primarily for the family of Grand Duke. The central space of the church features underlined vertical proportions: torispherical arches of cross arms, stepped arches, and the high drum of the central dome. » The Cathedral of the Annunciation keeps many Orthodox shrines. The main shrine of the temple is the miraculous icon of Our Lady of the Don by Theophanes the Greek. 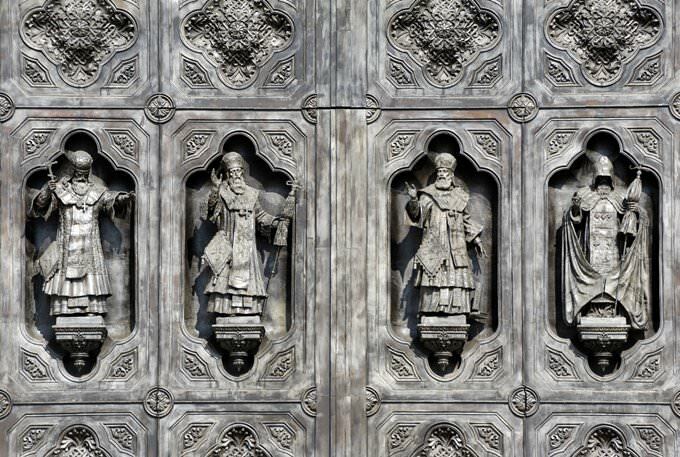 The icon is situated on the left side of the king's gate. » From 1993 every April 7 the Patriarch of Moscow and All Russia conducts liturgy there. 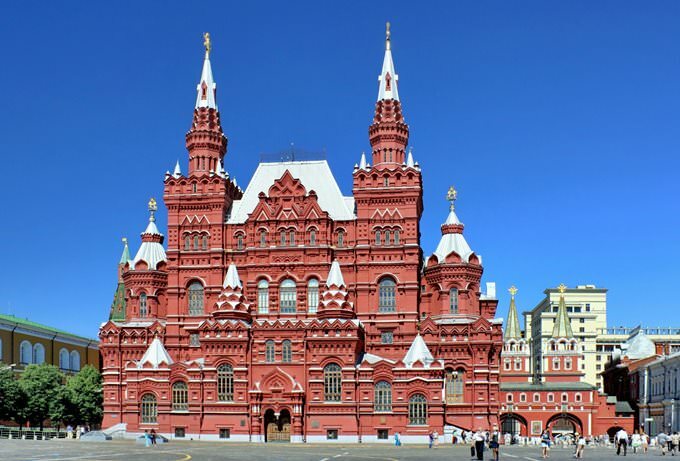 This guide to architecture monuments in Moscow is protected by the copyright law. You can re-publish this content with mandatory attribution: direct and active hyperlink to www.orangesmile.com.